Our software for Gage Crib Control and Calibration. With user configurable database. 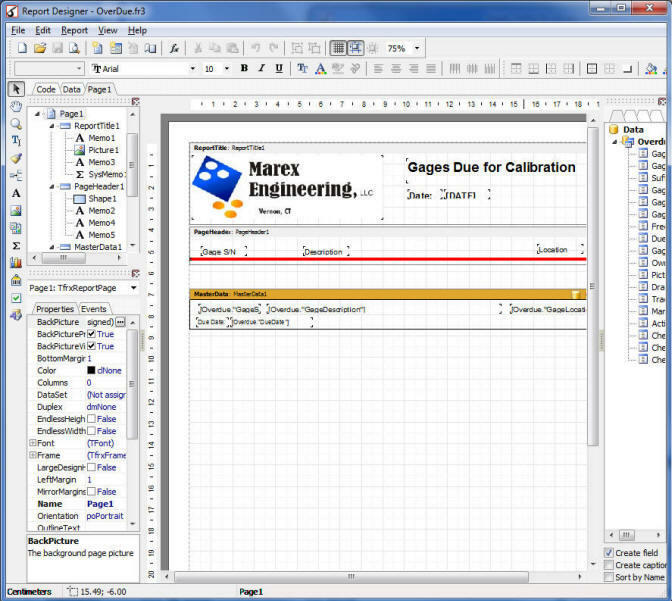 Always showing up on the first page is the list of gages that have expired calibrations. Double-clicking on a gage on the list brings it up on the Calibration page. 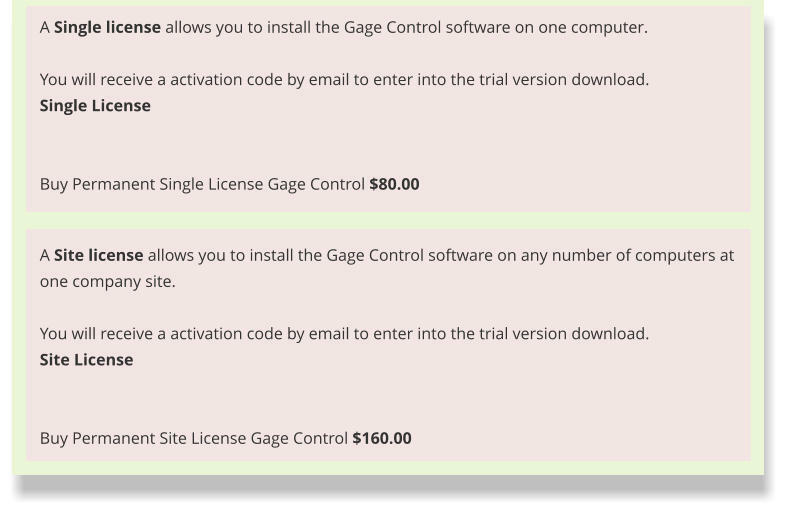 Gage Control is $80 2checkout is an e-commerce company that i-Logic Software uses to sell our products online. Your private data is 100% secure within 2checkout’s PCI and Better Business Bureau certified, DSS compliant environment. '2CO.com*i-logic.com' will appear on your credit card statement. It allows PayPal and other forms of payment also. Also, 2checkout is in the Netherlands, so if there is a problem with foreign transactions a call to your credit card company will clear it up. For purchase, there are two choices: Single License and Site License. 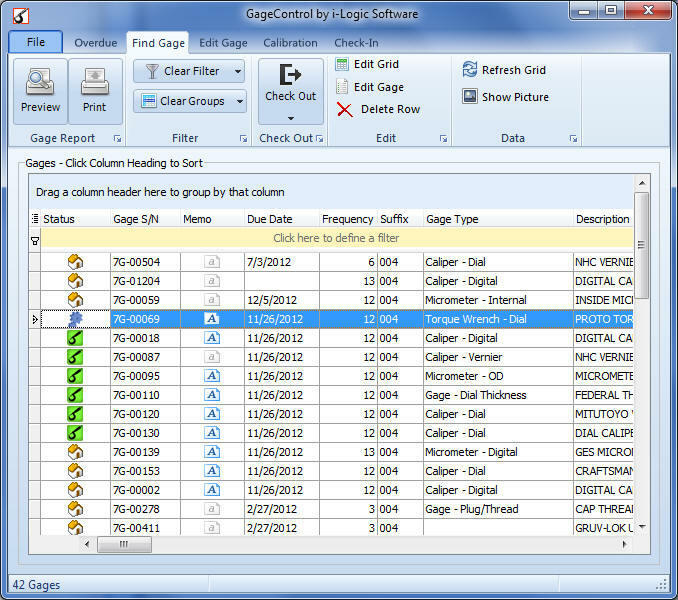 Search, find, list all the gages in the database. Filter and sort the list. Print the report. Add a new gage. 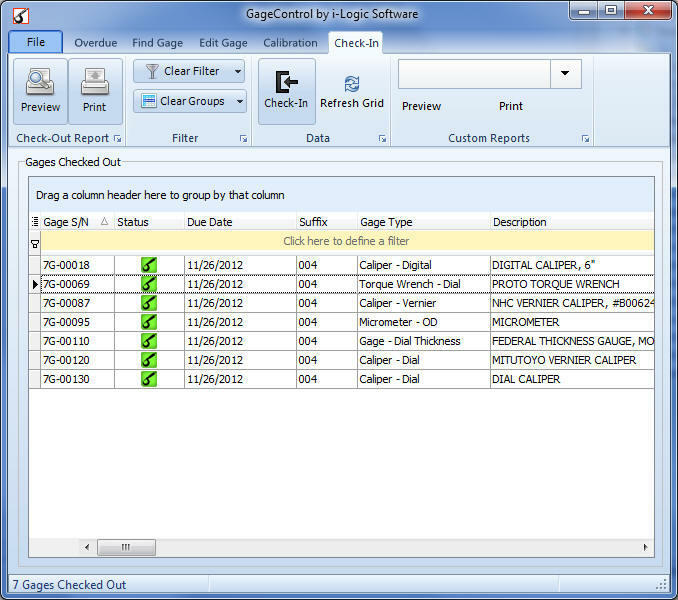 You can automatically generate the next serial number. Since ever company has different needs for the information they want to collect, the fields displayed are user configurable. They can be changed and you can have as many or few as you want. The items in the dropdown boxes are user customizable. As you calibrate the gages, there is a history of all your calibrations. Made to be as quick and easy as possible. 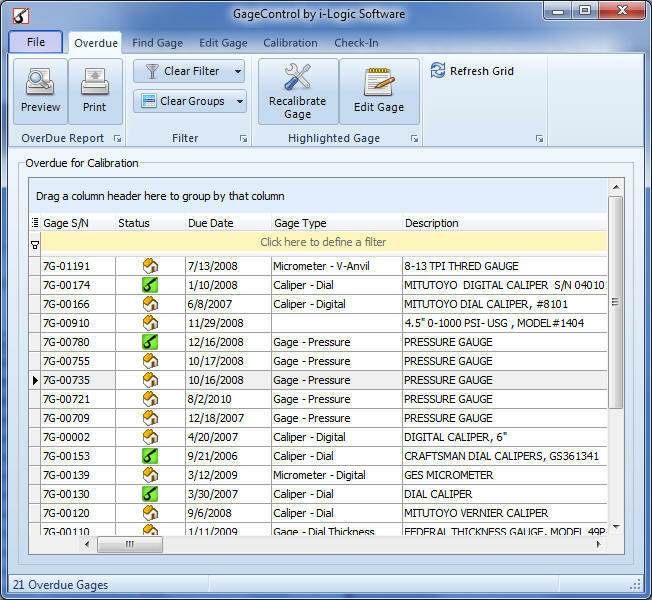 User configurable data fields for the Calibration Info. 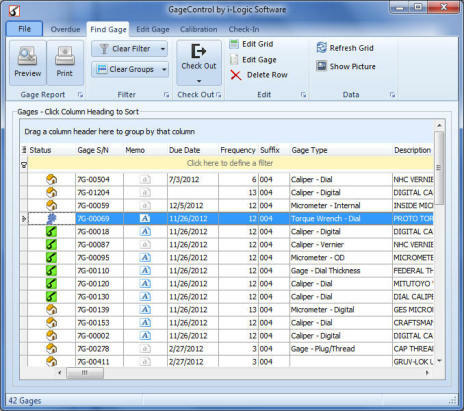 Also includes system for keeping a record of when gages are taken out of the gage crib so you can keep track of them. Customize your own reports with the built-in report designer. 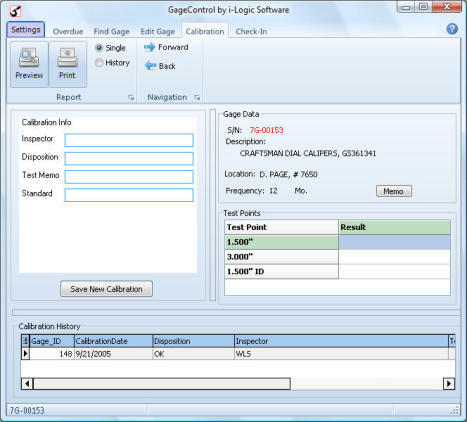 Our software for Gage Crib Control and Calibration. With user configurable database. Always showing up on the first page is the list of gages that have expired calibrations. 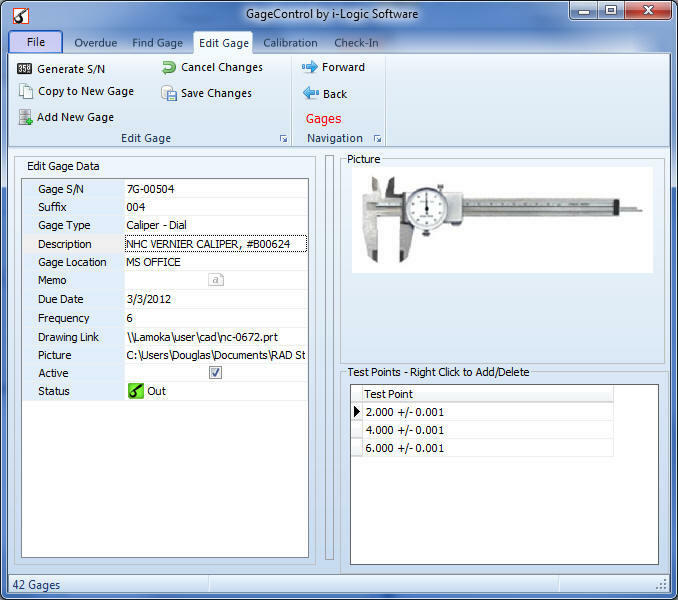 Double- clicking on a gage on the list brings it up on the Calibration page.